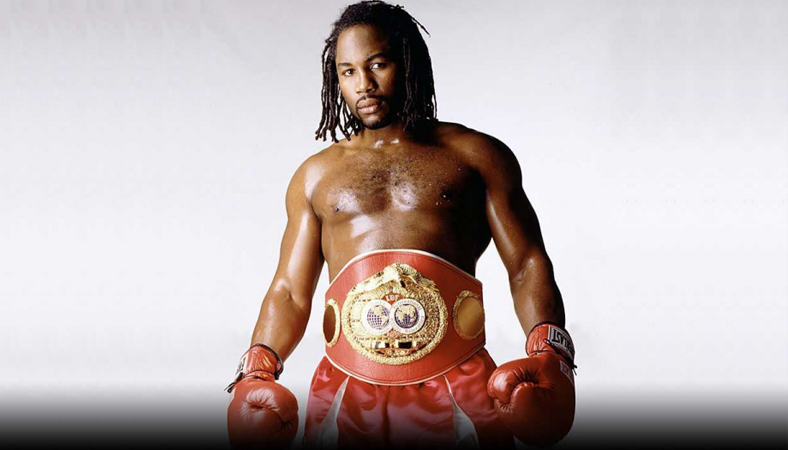 Lennox Lewis was born on September 2, 1965, in Stratford, East London to Jamaican parents. After the doctor looked at the 4.8 kg (10 lb 10 oz), baby, he said, he looks like a Lennox and so he was named. 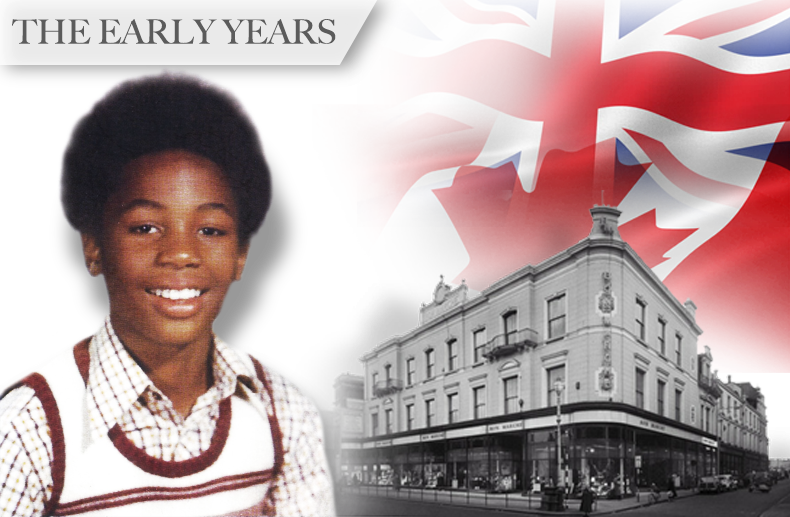 Lennox spent his early years in the East End of London and due to his family’s economic situation his mother immigrated to Canada in search of better job opportunities and left him in the care of a family friend. Without his mother’s presence, he became harder to control and as a result he was sent to a reform school in London for troublemakers where he was expelled for fighting. He was sent to another approved school for trouble makers and was again expelled for fighting. 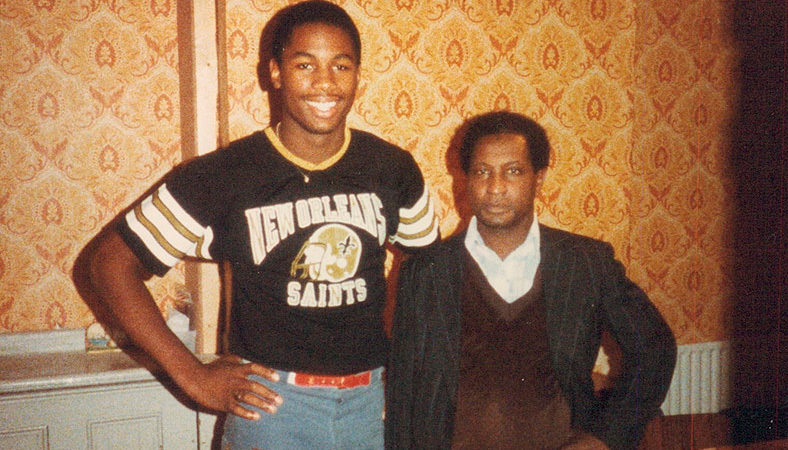 Consequently, in 1977, at the age of 12, Lewis immigrated to Kitchener, Ontario, Canada to be with his mother. 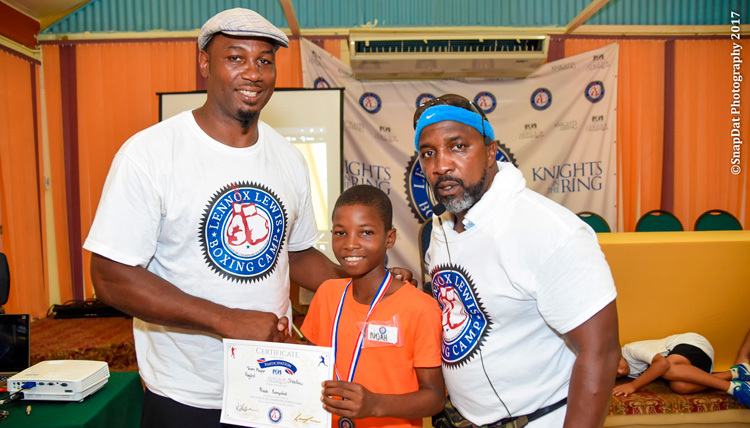 His place of birth, along with his early childhood, the country where he became a man and his Jamaican ancestry, are very much intertwined into the fabric of the man he is today. 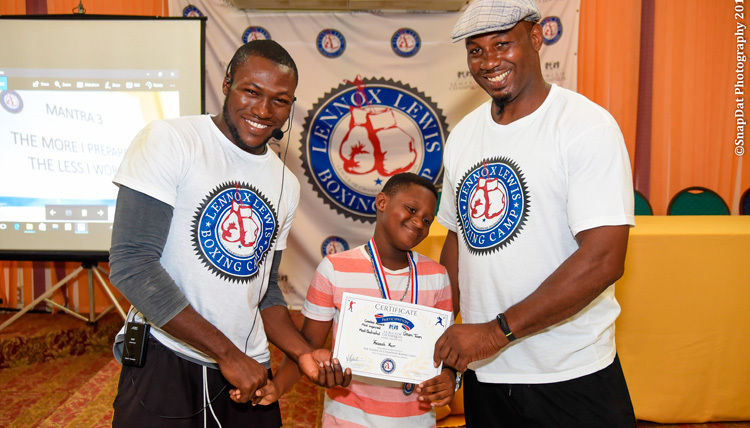 Lennox attended Cameron Heights Collegiate Institute for high school, where he was an all around athlete who excelled in football, soccer, basketball and track and field. 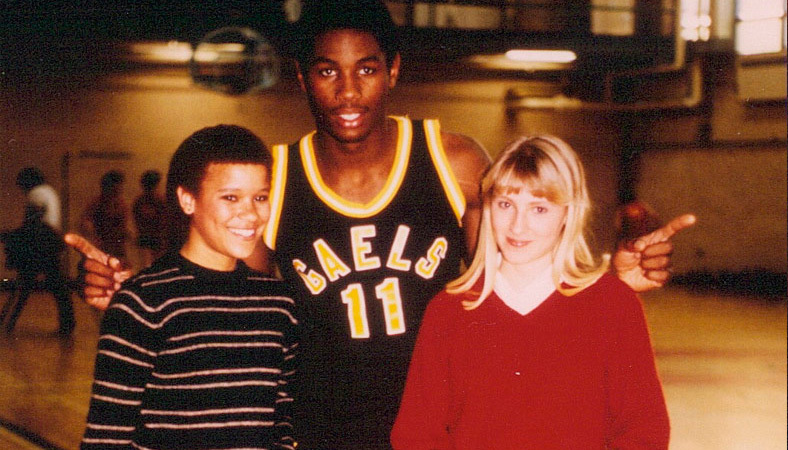 In the 1982–83 school year, he helped the school’s AAA basketball team win the Ontario provincial championship. 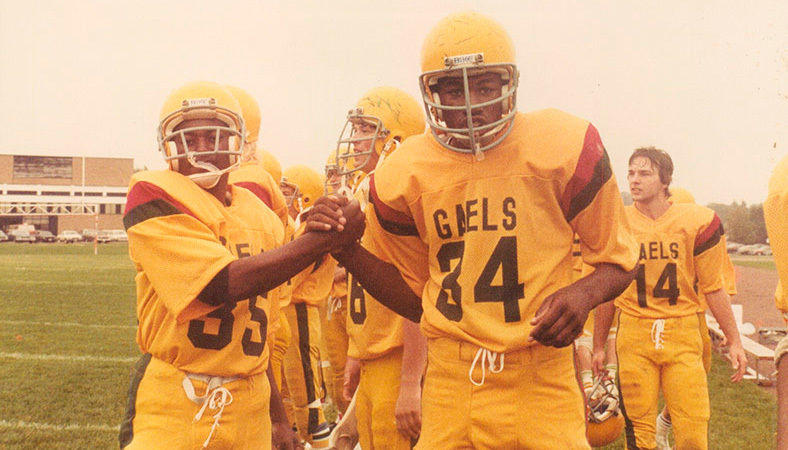 However, his football team lost their championship game and while he was disappointed for the loss he decided that there was more to come. 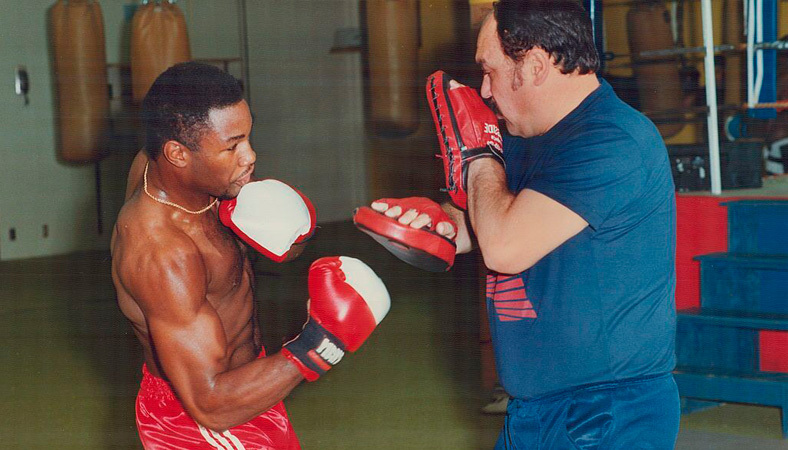 Lewis decided that his favourite sport was boxing and set his sight on training exclusively in boxing. 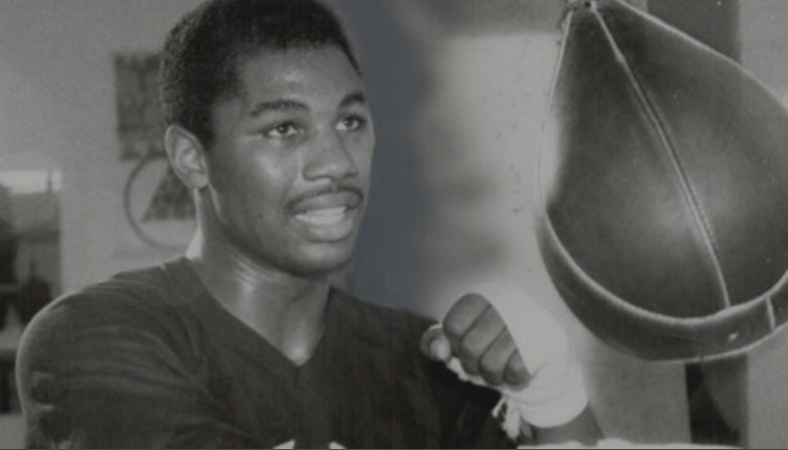 He became a dominant amateur boxer and won the world amateur junior title in 1983. 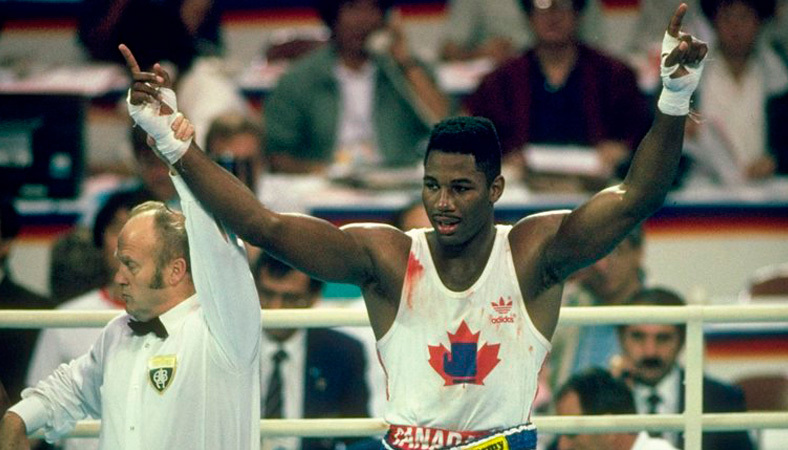 At the age of 18, he represented Canada in the 1984 Summer Olympics as a super heavyweight but lost by decision in the quarter-finals to American, Tyrell Biggs, the eventual gold medalist. 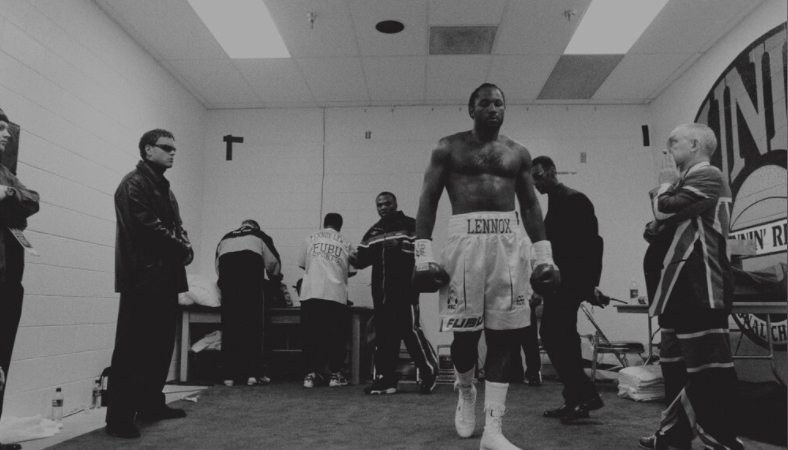 Lewis being a true competitor decided that he would return to the Olympic games and win gold. 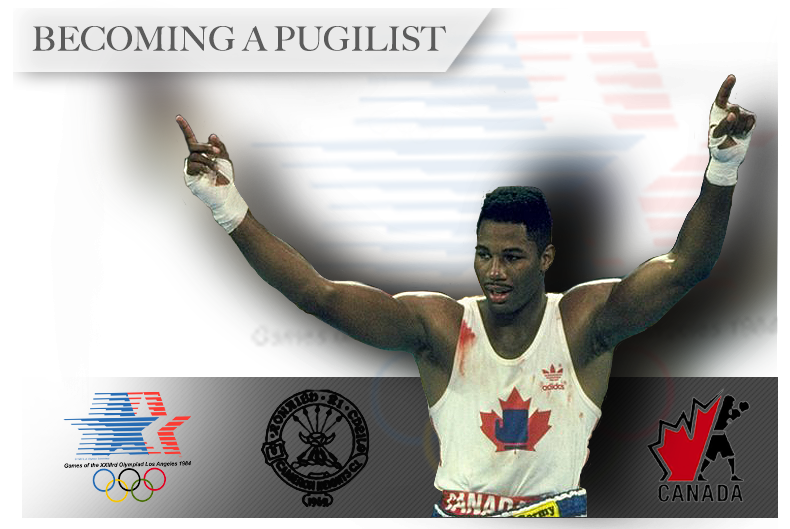 In 1988 at the Seoul Olympics, he did as he said he would and brought home the Gold medal to Canada in the SuperHeavyweight division. 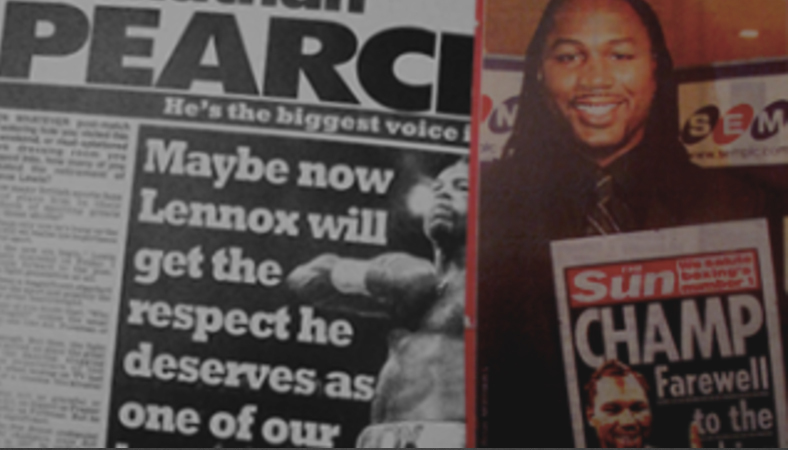 This set the stage for Lewis’s Illustrious boxing career. 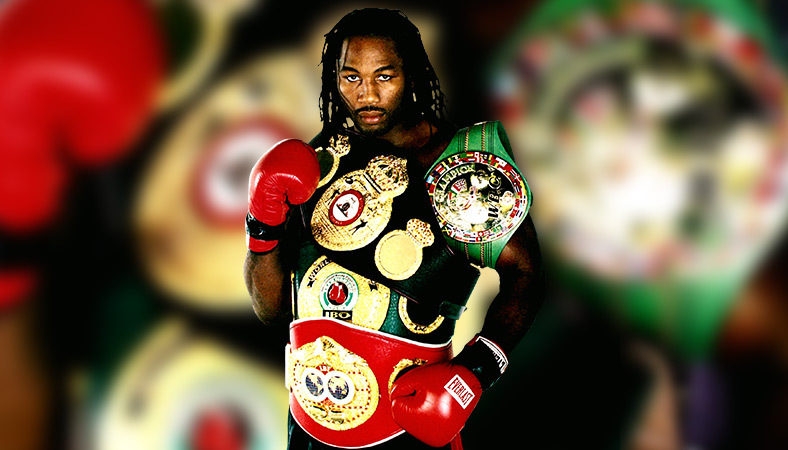 Lennox Lewis has accomplished more in one boxing career than most people can imagine. He is known for his calculated fighting style and grace in the ring. 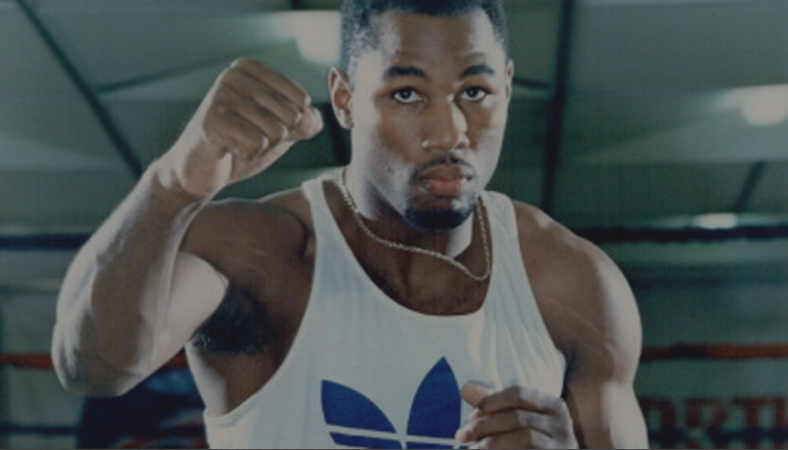 He turned professional in 1989 and went on to gain the European title in 1990 and the British Commonwealth Heavyweight title in 1992. 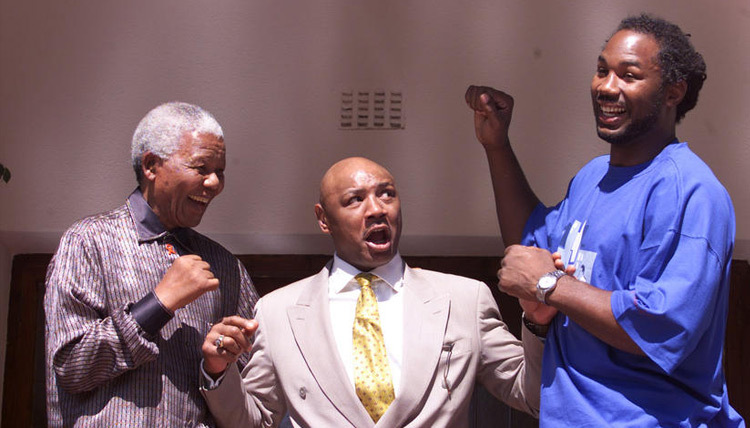 He was officially crowned the WBC Heavyweight Champion in January of 1993. 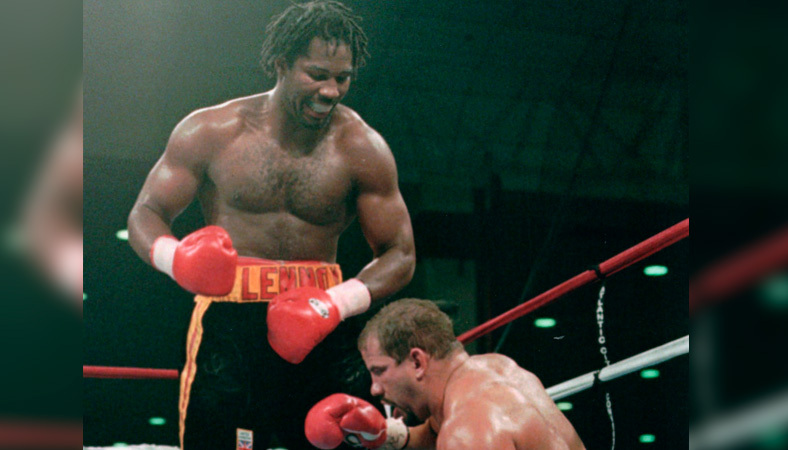 In November 1999 Lewis and Evander Holyfield met once again in the ring after their earlier fight ended in a controversial draw. 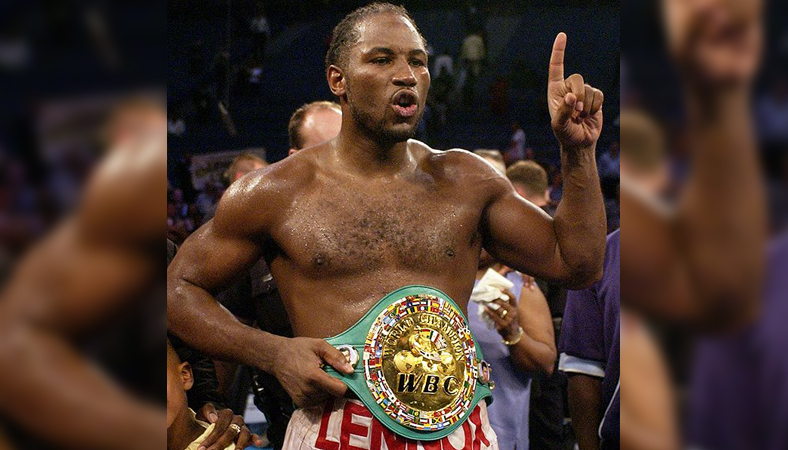 This time Lewis defeated Evander Holyfield to become the Undisputed Heavyweight Champion of the World, unifying the WBC, WBA, IBO and IBF titles. 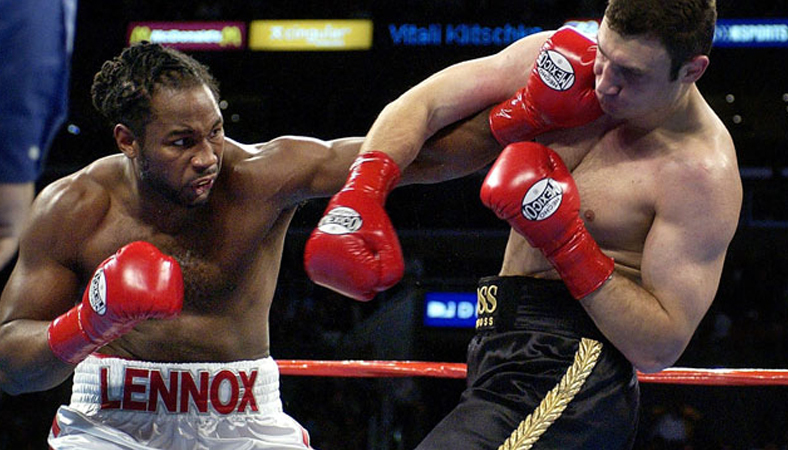 The crowning moment in his career came in June 2002 when Lewis ceremoniously defeated Mike Tyson. 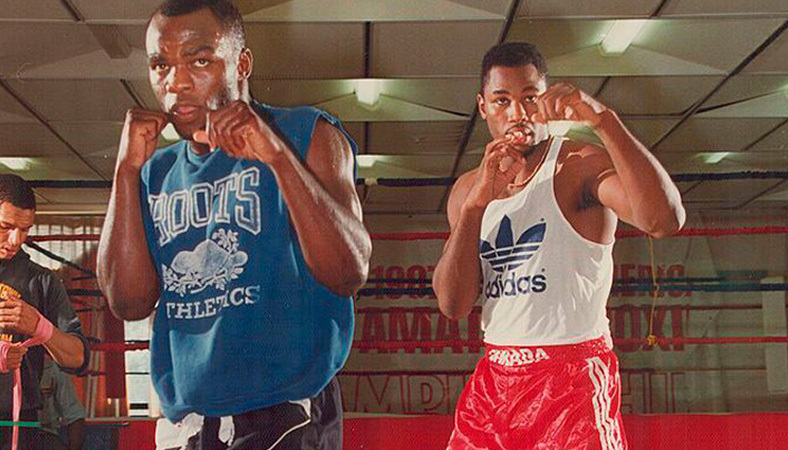 The stage was set for the Lewis/Tyson fight 18 years earlier when they sparred together and it was predicted by Tyson’s coach Cus D’Amato that they would meet for the heavyweight championship title. 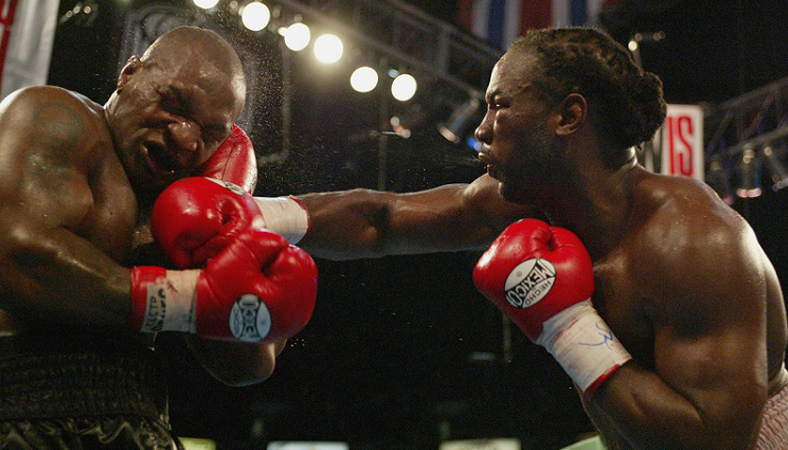 The Lewis/Tyson 2002 fight was the highest grossing pay-per-view professional boxing fight for five years. 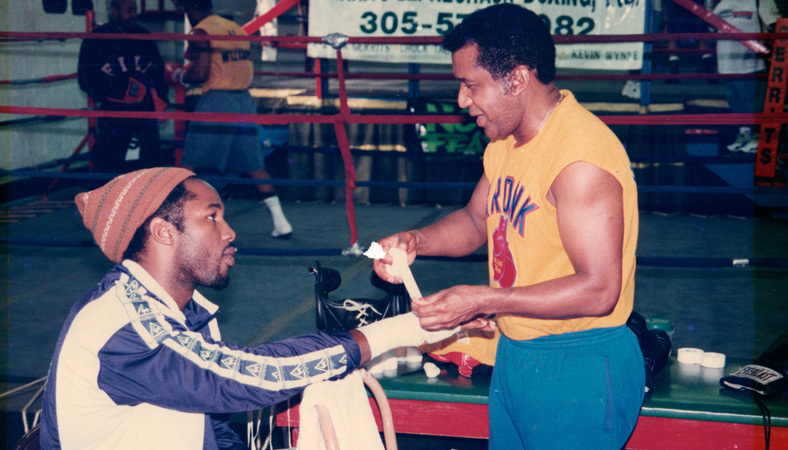 Along with Muhammad Ali and Evander Holyfield before him, Lewis is one of three boxers in history to have won the heavyweight championship three times. 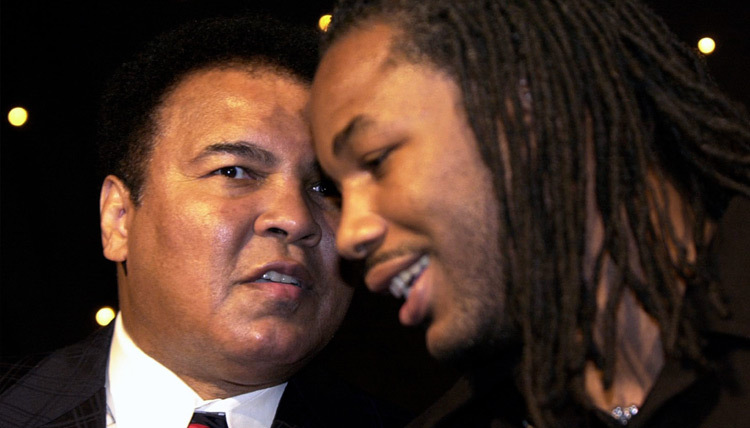 Muhammad Ali famously said to Lewis, “You’re the greatest one there is, like me.” George Foreman has described Lewis as “beyond doubt, the greatest heavyweight of all time.” Lewis’ decision to retire as the reigning heavyweight champion of the world in 2004 reaffirmed his reputation as a man who makes decisions for himself and sticks to his principles. 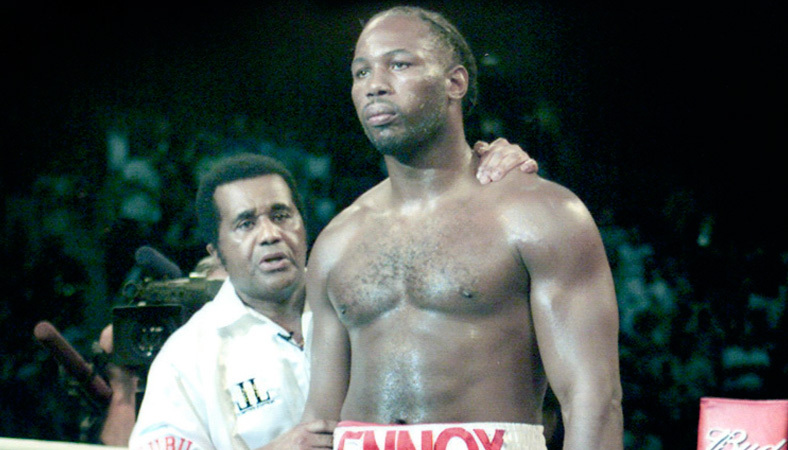 He continues to be the last Undisputed Heavyweight Champion. 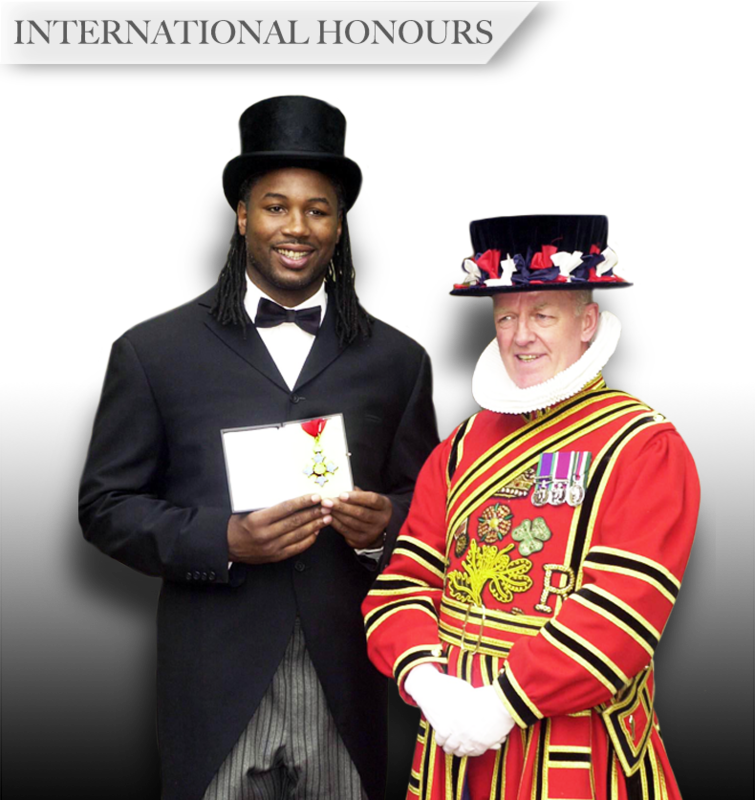 Lewis’s athletic accomplishments have been acknowledged with numerous international honors. In 1988 his adopted home of Canada awarded him a CM – Member of the Order of Canada. In 2002 he was honored by his birth country of England when Queen Elizabeth II awarded him a Commander of the Order of the British Empire (CBE). 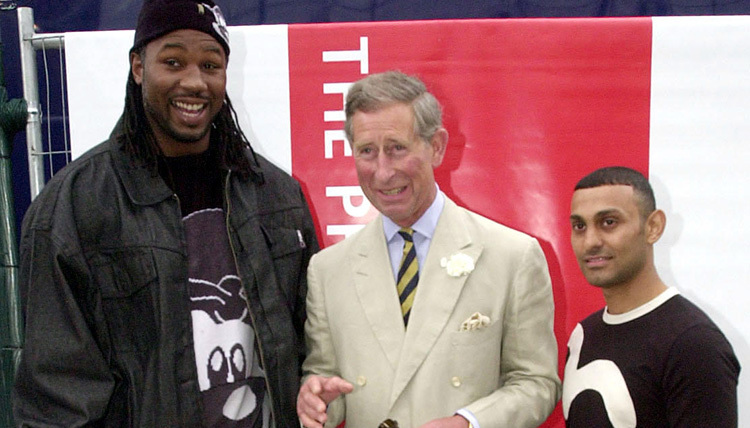 The CBE is an esteemed honor for a British citizen, just one rank below knighthood. 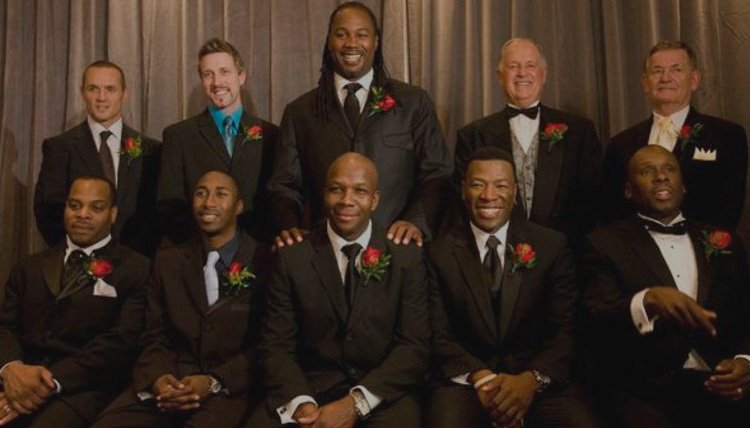 In 2008, Lewis was inducted into Canada’s Sports Hall of Fame, the World Boxing Council’s Hall of Fame and the World Boxing Hall of Fame. 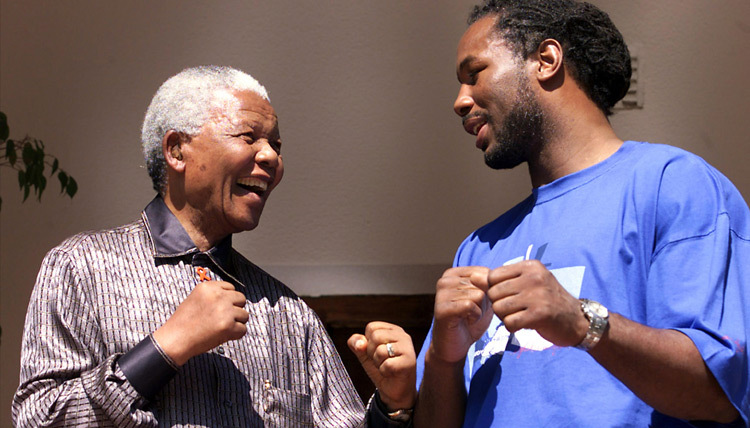 In June 2009, Lewis was also inducted in his first year of eligibility into the revered International Boxing Hall of Fame. 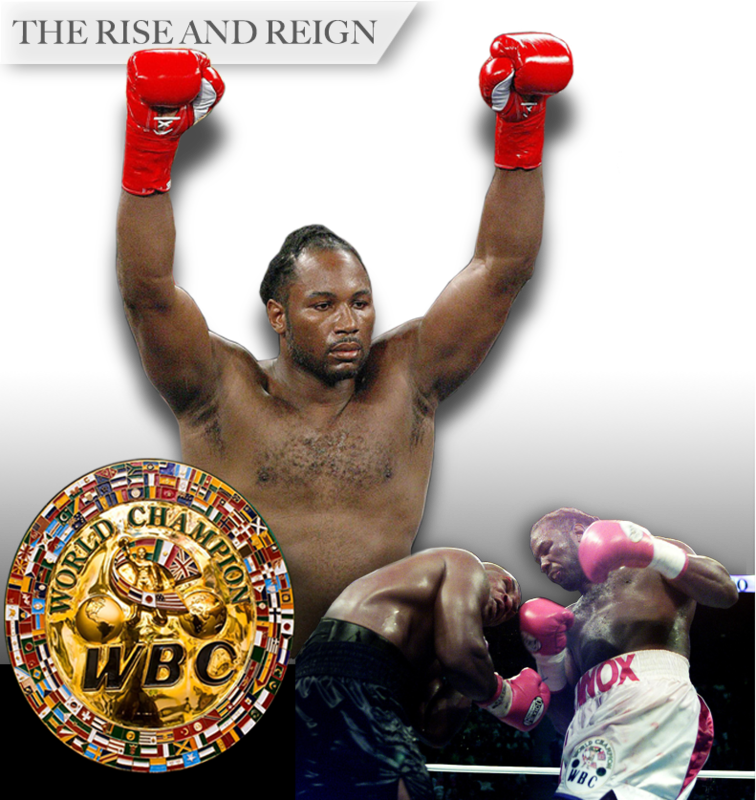 In 2016, Lewis was honored by the WBC with his picture image permanently embedded in the WBC Heavyweight championship belt. Lewis keeps busy with his business ventures, philanthropy and charitable projects. 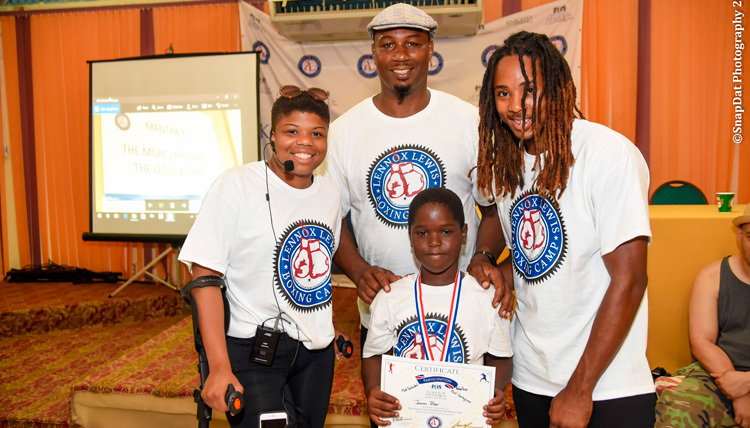 He is a major contributor to the Muhammad Ali Center and is a current ambassador for the global based sports charity, Laureus. 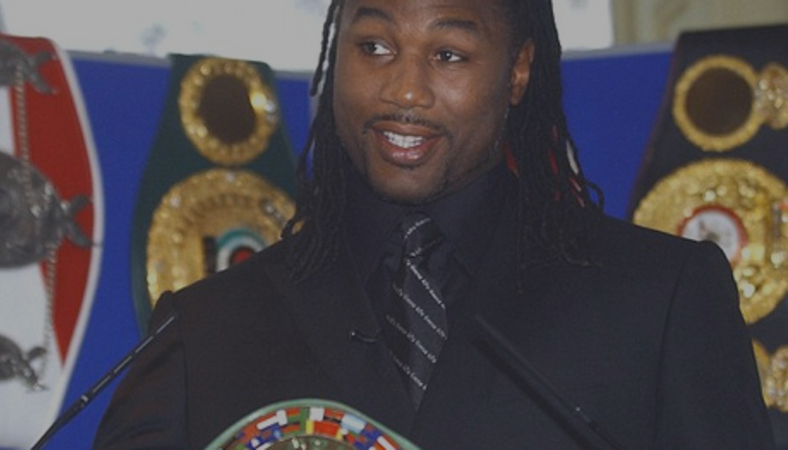 He lends his talent and expertise to the Canadian youth boxing center, sponsors a youth chess team and is an annual supporter of countless charities and social causes around the globe, all while starting his own charity; The Lennox Lewis League of Champions (LOC) Foundation, whose mission is to inspire the next generation of champions for success in the RING of life. He continues to be the Undisputed Heavyweight Champion.